FrameStar® 96 Well ABI® Style Plates are designed for and tested on ABI® standard blocks; with 0.25 ml polypropylene wells, a rigid semi-skirted polycarbonate frame with upstand, and a cut corner at A12. This ABI® Style PCR plate offers the benefits of a 2-component design to ABI® standard block users. This design combines the advantages of ultra-thin wall polypropylene tubes for optimum PCR results with a rigid polycarbonate skirt and deck for the highest thermal stability. 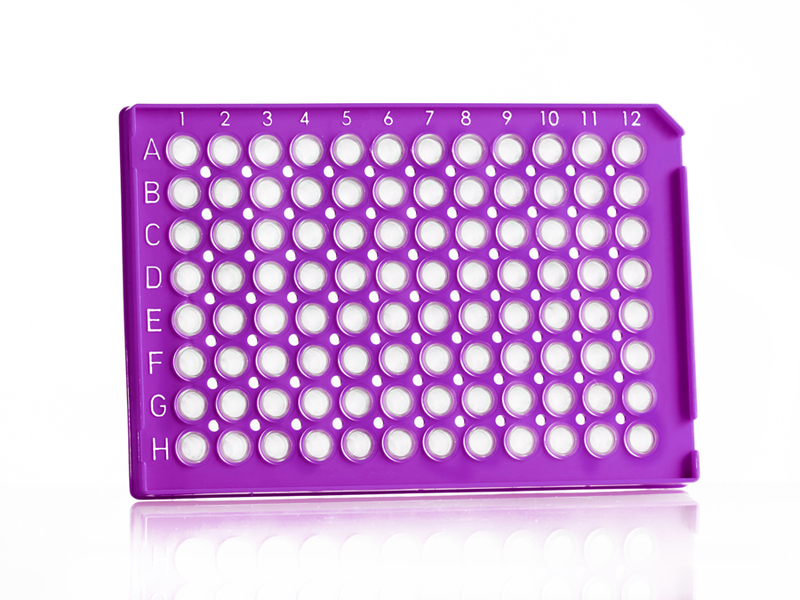 4ti-0710FrameStar® 96 Well Non-Skirted PCR Plate Standard profile, 0.2 ml clear PP wells, purple PC frame, cut corner H1, std thermal cyclers50 plates199.003.98.